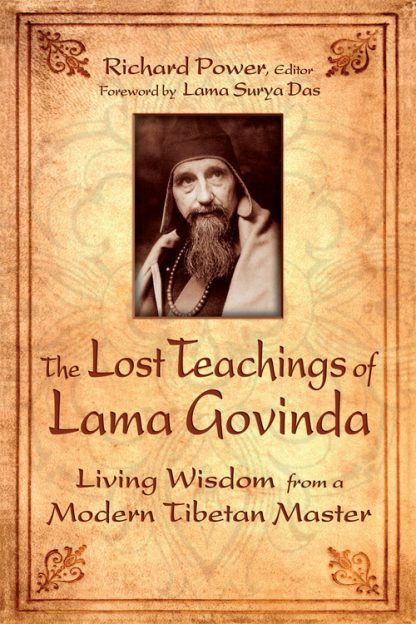 The Lost Teachings of Lama Govinda offers a precious glimpse into the consciousness of an extraordinary scholar and mystic, shedding new light on Govinda�s legendary role as both a pioneer and a prophet. Born in Germany, Lama Govinda was one of the first Westerners to introduce Tibetan Buddhism as an initiate in the tradition. His famed works, The Way of the White Clouds and Foundations of Tibetan Buddhism, live on as some of the best in the field. In this collection of essays and dialogues, Govinda delivers insights that are both timely and timeless. Ranging in issues and themes, including transpersonal psychology, drugs and meditation, Christianity, Theravada and Zen Buddhism, and the I Ching, editor Richard Power brings together Lama Govinda�s rarest material�some never before published, some long out of circulation.